let's discuss the fact that it is spring and March is a total buzzkill. sure, March comes in like a lion and out like a lamb -yadda yadda yadda- but how about the fact that it is still snowing like a boss and it shows no sign of stopping? 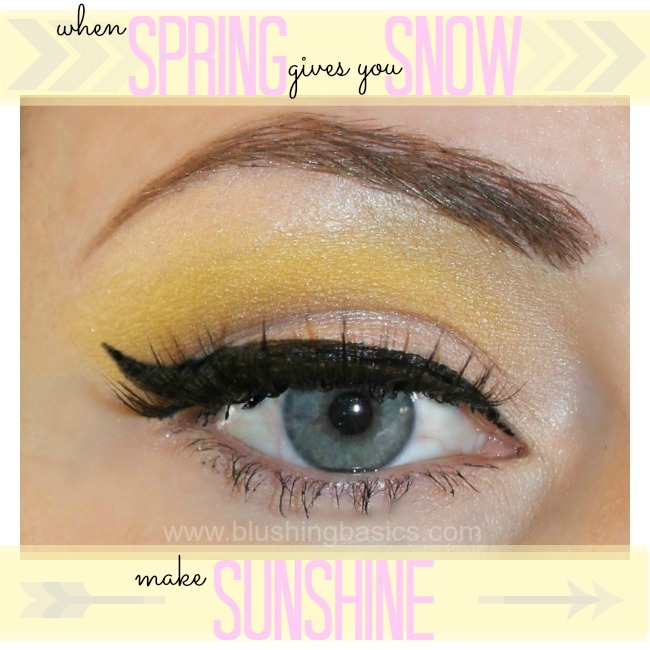 to improve my mood on these gloomy spring days i decided to create a little eye makeup tutorial to brighten up my life. i put together this step by step eye makeup tutorial using the Make Up For Ever Technicolor Palette i wrote about here. a fabulous multi use palette that is filled with bright happy colors is the perfect antidote to grey weather. this tutorial will work well with any bright color. simply add bright color to your crease area, place a small amount of brown for contour and your bright eye is complete! sure, i like the extreme cat eye with this look but feel free to take liberties when determining your cat eye exaggeration. Gorgeous! 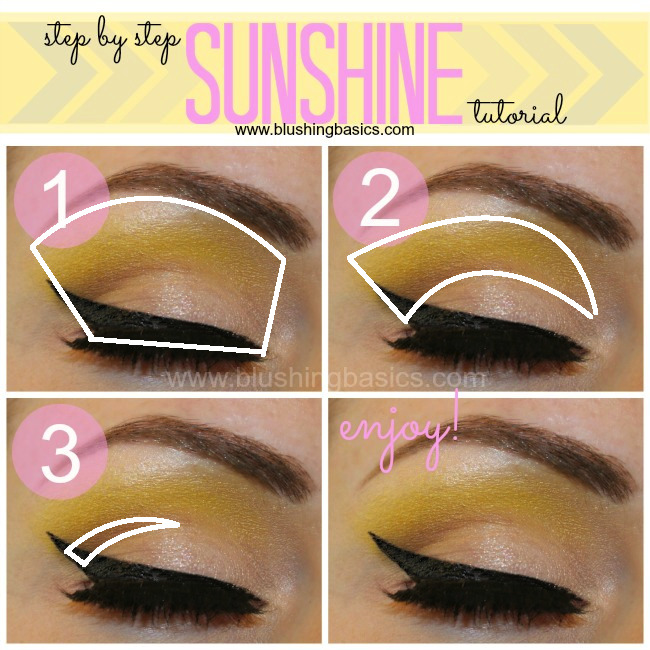 Now that I think about it, I haven't seen many yellow tutorials. Your liner looks flawless - wish I could get that level of precision. very pretty! I am so nervous to use yellow but I might have to try something like this! Glad you liked it Miranda! Thanks for stopping by. I love it! If only you would come over and do my make up for me!